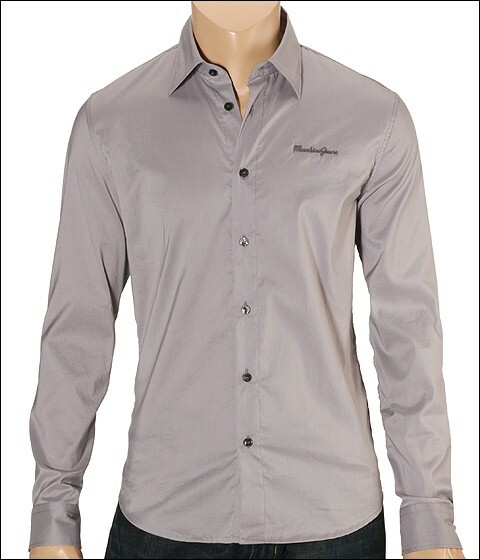 Keep your favorite brand close to your heart while looking fabulous in this shirt by Moschino. 'Moschino Jeans' embroidered on the left chest. Point collar. Button front. Long sleeves. 38 sleeve length. Tapered. Classic cut bottom hem. 67% cotton and 37% polyester. Machine wash warm and line dry. Imported.